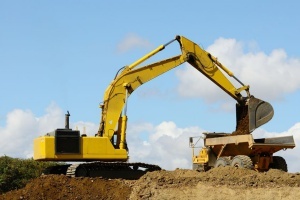 Dirt Connections will provide you with any amount of free fill dirt that your residential or commercial job site needs in the Chantilly, VA area. No matter what the size or scope of the project is, we can bring you the dirt you need and help save time and money along the way. 7 Schedule a Chantilly, VA Fill Dirt Delivery Right Now! Any major residential or commercial construction, development, or remodeling project will most likely require fill dirt. 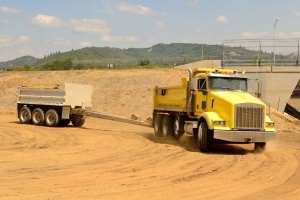 Projects that require fill dirt can rely on Dirt Connections to supply all of the dirt necessary for its completion, directly to the job site. Foundations need the right kind of fill dirt with less organic material – that can decompose and compromise a building’s infrastructure. Fill dirt is also handy for patching up inconsistencies or filling in holes once your project is moving along. The amount of fill dirt your project requires depends on its unique circumstances, and no project is too large for Dirt Connections to support. Delivery fees will sometimes apply based on where your project is located and how much dirt you order. However, on orders of ten truck loads of dirt or more, delivery is completely free. Regardless of how big or small your project is, we will get you what you need to keep your plans moving along. Prior to the delivery of any order, we will send someone from our company to your project location to inspect the site. We do this to make sure that our drivers and workers can deliver the dirt safely. We’ll take your unwanted dirt – if you’re on the other side of the coin and want to get rid of dirt, instead of bringing it in, we can still help you. Give us a call if you have any excess dirt on your property and we’ll find a new home for it. We have all the equipment and personnel to get the job done quickly and safely. 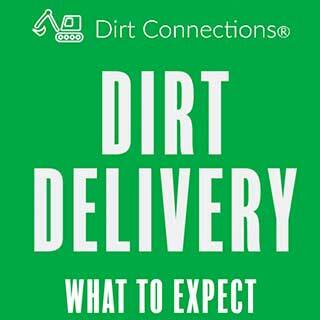 Dirt Connections’ longtime familiarity with the Chantilly, VA allows us to always provide reliable and convenient delivery of all your fill dirt needs – exactly when you need it. Following our free site inspection, we can ensure safe and properly delivered dirt to your desired location in a time-efficient manner. We are also always able to remove excess quantities of dirt once a project is ready to do so, just let us know and we will be there. Depending on Dirt Connections for all of your various fill dirt needs ensures you’ll be stress-free when it comes time to receive or remove all of your project’s dirt. To save yourself a headache towards the end of the project, as well as a lot of money, it’s a good idea to calculate how much fill dirt you’re going to need. It’s simple to do and all you need to know are the dimensions of the proposed project. If the area that you intend to build is a square or rectangle, the formula for finding the amount of dirt you’ll need is very easy. Determine the height, width, and depth in inches. Multiply all these numbers together and you will have found the area of the project in cubic inches. We prefer to do all calculations in inches because it’s so easily converted into cubic yards, which is how fill dirt is sold. The formula for a project that is circular is a little more complex. The only two pieces of information that you need are the depth of the circle and the radius, which is one half of the diameter. The only thing you have to do is multiply the radius by pi and then multiply that by the depth. The number that you end up with will be the amount of cubic inches that you’ll need to buy. Schedule a Chantilly, VA Fill Dirt Delivery Right Now! We also have the staff and expertise to get the job done on time how you want it to be. We have all of the fill dirt your project needs, regardless of how large or small it is. To find out more about our dependable, affordable, and convenient fill dirt delivery and other services, please give us a call or send us a message online.